Happy fall y'all! It's Renee from Fantastic First Grade Froggies. I know it's officially fall, but it doesn't feel that way here in northern California. Oh well, all I have to do is visit a grocery store (or any store for that matter) and see the pumpkins and all of the pumpkin related food. I love it! 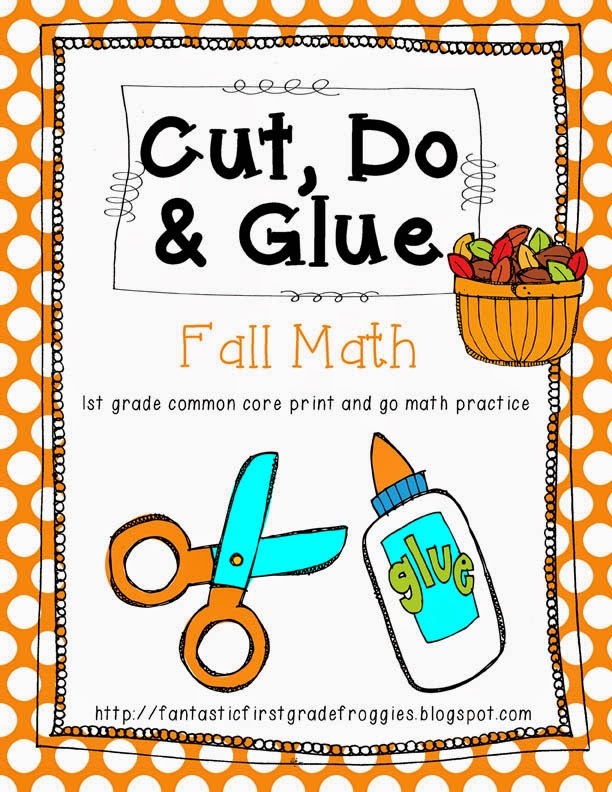 Since fall is upon us, I thought I would share a freebie from my Fall Cut, Do and Glue math pack. 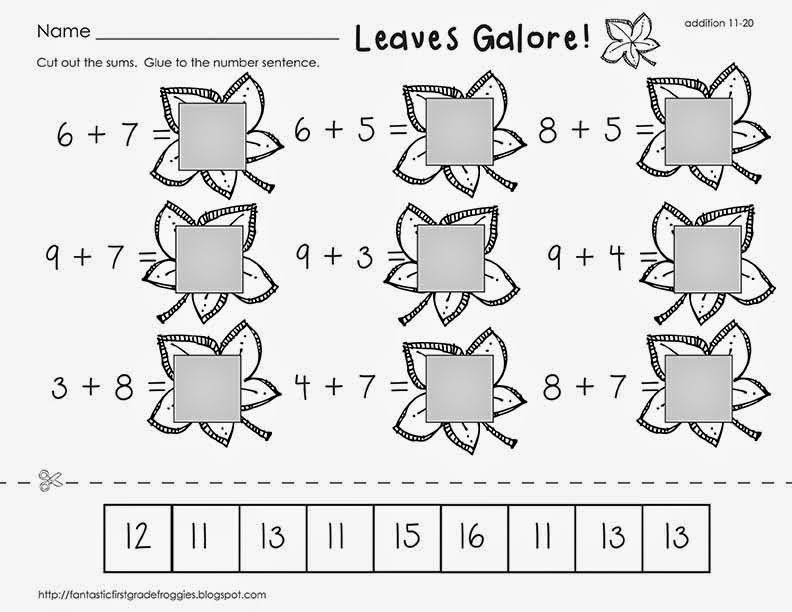 These are great to pull out for subs or morning work. Click below to grab your freebie. I hope you are able to use this freebie! If you are interested in the full pack, click below. What are some of your favorite fall activities or food?